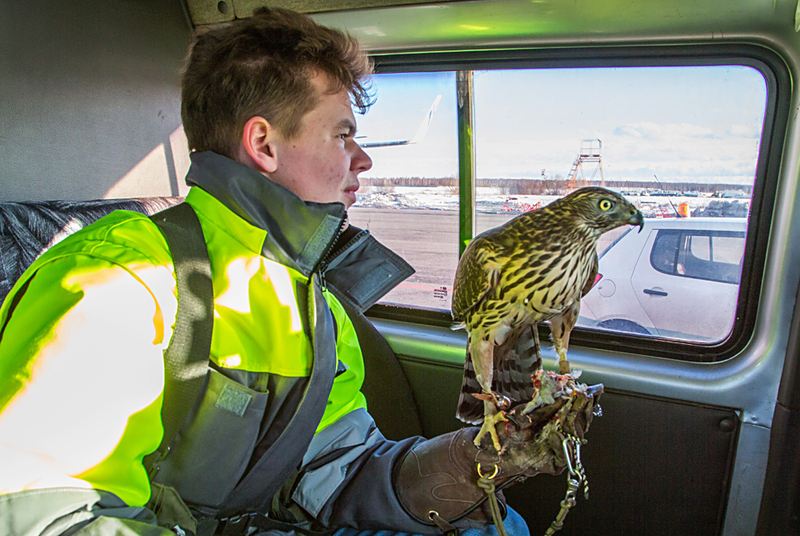 Ornithological Service member with a goshawk at Domodedovo Airport. Raptors such as goshawks help control the number of birds at the airport and surrounding areas. Russian customs officers at Moscow’s Domodedovo airport impounded a record-setting 591 exotic birds, and among them were African grey parrots and finely colored finches, head of the Moscow Environmental Resources Management department told TASS on Nov. 15. The caged fowl could have arrived in Moscow by transit from Kyrgyzstan. "All the details are being clarified," the department chief said. "Some of the birds are rare species, which enjoy protection under the Convention on International Trade in Endangered Species of Wild Fauna and Flora (CITES)," the source went on to say. There were shell parrots, African grey parrots, finches and canaries among the confiscated birds all of which have been taken to a temporary animal holding center, which operates under the Moscow Environmental Resources Management department and is located in Yakhroma near Moscow.